Last summer we were very lucky to borrow a 3D printer from Young Maker to demo on our library workshop visits. Nanik enjoyed working with this technology and quickly became our resident expert. It was interesting to watch his progression as he explored this technology. 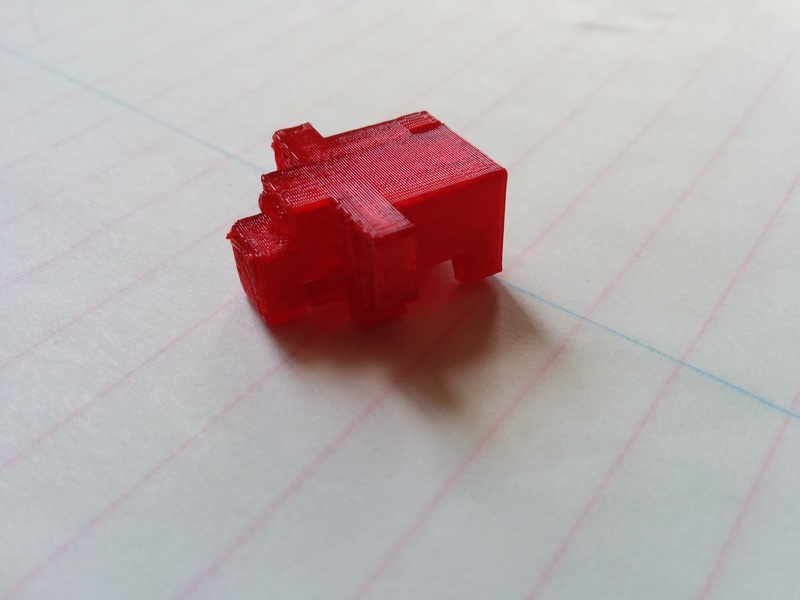 We were using a Makerbot Replicator 2. I showed him how to print from the SD card and how to level the print bed. And then he was off! He started by exploring the SD card and seeing what different prints were on there. Then he started exploring Thingiverse to see what else he could make. He stopped working with the SD card and started using MakerWare to connect his laptop directly to the printer. Then he wanted to make his own models. He started by scanning toys using his digital camera. He found some free software online that combines many images into one 3D scan. Nanik used the Autodesk123D Catch desktop version to stitch his images together. He learnt a few things in the process. Start simple. Pick an object with a simple structure to get the best results. Take a lot of photos. More than the minimum required. Use newspaper to make a background for the scanned image. With a lot of trial and error and he started getting some decent scans. He still uses this method if he needs to. And he uses his 3Doodler to fill in any gaps he's not happy with. It wasn't long before he wanted to start designing his own models. Both boys use a tablet with an Android OS. Nanik found Qubism and he likes it a lot. It was simple to use and a relatively easy process to export the design and bring it into something like MeshLab to make the 3D structure that we could import into MakerWare. It wasn't long before we had an entire tiny zoo. This is the elephant. But then - we had to give it back. It was at the World Maker Faire NYC, September 2013, where we first saw the Printrbot Simple. I thought it was a great printer. I liked it for kids because everything is out in the open - you can see what's going on. It was getting great product reviews but I was hesitant. 3D printer technology is changing all the time. Every day there seemed to be new announcements on low cost, low maintenance printers. I had heard that maintenance was a big issue. 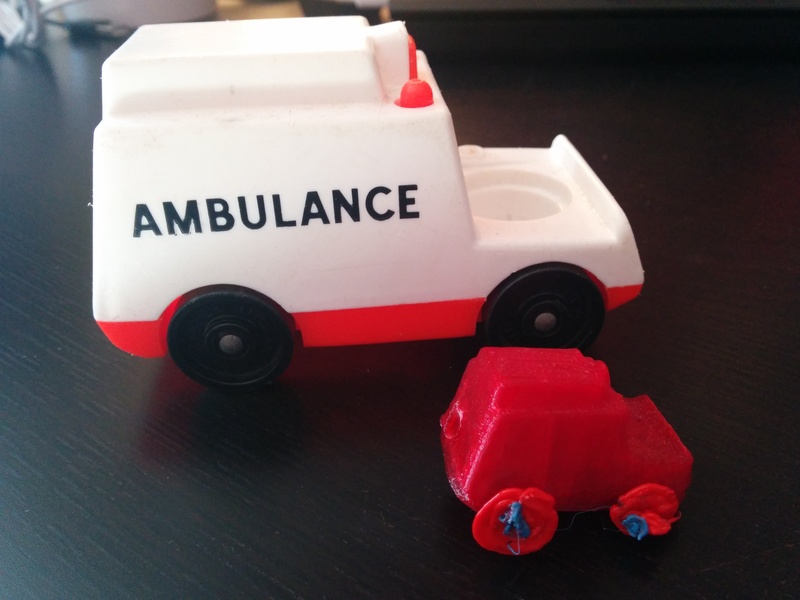 I was not sure how to work 3D printing into a simple workshop for kids. I was stuck in analysis. Nanik got tired of waiting for me to make up my mind and started saving his money. 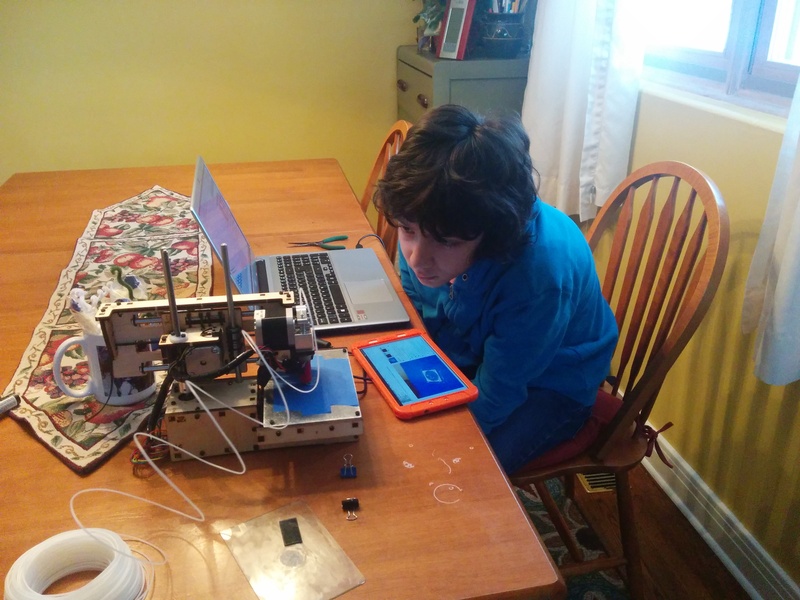 At the end of last year he had enough to order the Printrbot Simple Makers Kit. I think it's fair to say that I was nervous about putting everything together. Lego, I can do. Ikea, I can do. But a 3D printer? When the kit came, Nanik and I started working through the 50 steps required for assembly. Gradually, he started taking over. By step 37 he was working on his own. And then he was printing. He's still working his way through his Thingiverse wish list. Apparently he's been dreaming of what he would print for quite a while. I am impressed with this little printer, but more importantly, I am impressed with the entire process. What a great learning activity for both of us. Thanks to everyone who helped by loaning us the original printer and answering all of our questions along the way. And what's been on his wishlist all this time, just waiting to be printed out? This. 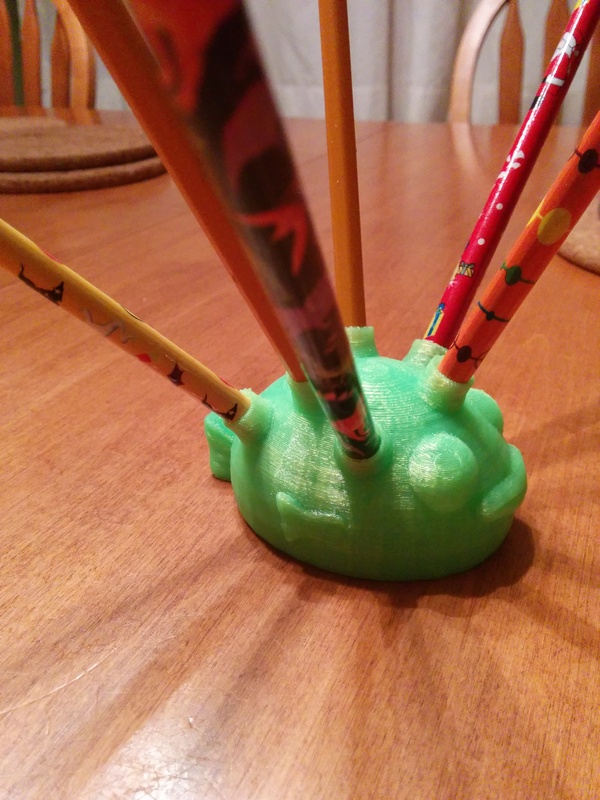 A 3D printed puffer fish pencil holder.